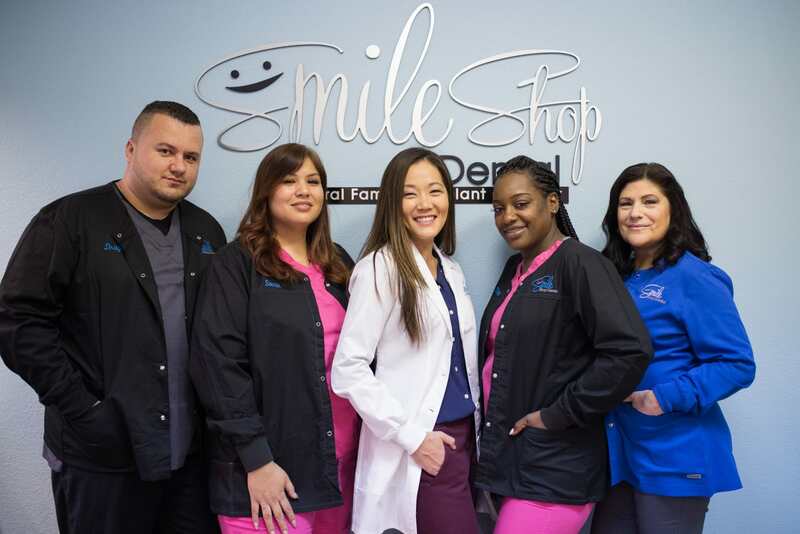 We spoke with Dr. Grace Chung, owner of Smile Shop Dental in Henderson, Nevada. 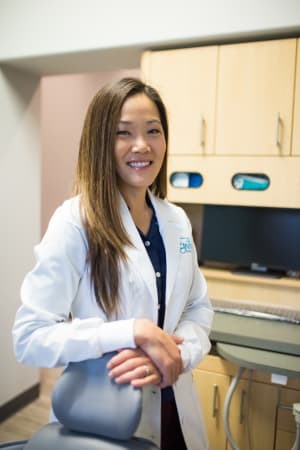 In this interview, Dr. Chung walks us through her thought process in selecting software (Open Dental for practice management, and OperaDDS for communications) for Smile Shop Dental, which she just opened up in March 2016. She explains the advantages of selecting software from companies that may not be as widely used as Dentrix, but still have a strong user base and a positive reputation on popular sites like Dentaltown. Dr. Chung also explains how she was surprised by the benefits of intra-office communication software, even in a smaller office, and how using software to facilitate communication between staff has improved her patients' experiences. Hi Dr. Chung, nice to meet you. Can you introduce yourself and your practice? I come from a military background, having graduated from West Point and serving 6 years of active duty as an Army Medical Service Corps Officer. After my last duty station with the military, my husband and I decided to move to Las Vegas to be closer to family. Initially, I practiced as an associate dentist in the area at several locations. I am also affiliated with the the Clark County Coroner's Office as a forensic odontologist, which is something I will continue to pursue while practicing general dentistry. After a while though, I decided that I needed more flexibility in my schedule to continue working in forensics while managing my personal life. My husband is an executive administrator in a demanding job and we have four young children whose schedules are always changing. Mainly though, I wanted to be able to practice dentistry the best way I know how with treatment planning, selecting the materials I prefer to use and working with labs that I’m close with. In the end, I decided that the best way for me to accomplish all of these things was to open up my own practice - which was definitely not something I thought I’d do in the beginning. So about a year ago, I opened up Smile Shop Dental in Henderson, Nevada. Our office currently has 1 dentist (myself), 4 full-time staff, 1 part-time hygienist and 3 part-time staff. I couldn’t be happier with where I am professionally and personally. It was definitely the right choice for me. We use Open Dental for our practice management software, and OperaDDS for patient communications (calling and emailing patients), as well as for intra-office communications. How did you choose Open Dental for your practice management software? Have you used other systems in the past? I learned about Open Dental from Dentaltown, which is usually my go-to source for information -- it's great to hear opinions from other practitioners based off of their experiences, and to be able to discuss things peer-to-peer, whether it’s about practice management, clinical opinions, or selecting certain equipment or services. Open Dental has a strong reputation on Dentaltown, and their customer service was really friendly, which was a big selling point for me. It was also more affordable to use their 24/7 technical support that is just a phone call away than purchasing one big software package like some other management systems. I've used Dentrix and Eaglesoft at my previous jobs, and prefer Open Dental to them, especially given the price point and user-friendly interface. Open Dental also offered a free trial that allowed me to test the software with my actual data which was really helpful to see if it was a good fit for my office -- I found the software to be very user friendly during the trial and easy to figure out with the multiple training modalities online. It was really easy for my IT team to get us set up as well. You mentioned that you also use OperaDDS for handling communications. What made you decide that you needed communications software in the first place? Since our practice was new, we were originally handling patient communications manually and making phone calls. As we started to get more and more patients in our practice, I did analysis about the opportunity cost of our staff spending time on these tasks compared to the other things that they could be helping out with. Especially given the relatively low cost of the software, it seemed like a good investment to help automate some of these tasks and take some of the burden off of our shoulders. Transitioning from handling communications manually to using software was a breath of fresh air -- it was a luxury. I've found that we're able to retain patients easier and our no-show rate has dropped considerably. It's been a worthwhile investment for us. How did you learn about OperaDDS? Have you used other communication systems like it in the past? I also learned about OperaDDS through Dentaltown. I was using Lighthouse 360 before which I thought was a great system and it worked well for us. But it had a lot of additional bells and whistles that we didn't have a need for. As a new practice, we weren't using postcards and didn't use their reviews system -- I prefer to be more personal with reviews and although they are very important, I didn’t feel comfortable asking for reviews electronically right after their appointment. We also have a strong web presence already on social media and found many people left reviews on their own. OperaDDS was hands-down more affordable than Lighthouse, and as a start-up, every dollar counts. OperaDDS offered all the patient communication functionality that I wanted without too much fluff. That being said, they had a lot of features that were not offered by other services and are on the forefront of technology, and seemed to always be improving their services. I started speaking with Martin Helmbrecht (head of support at OperaDDS) since he was also very active on Dentaltown, and he was really responsive to all of my questions. He would always respond to promptly, and if I had a complex problem or issue, he'd work with his team to get the quirks figured out and get back to me really quickly. As you can see, customer support is pretty important to me. Lighthouse is still a great system. I've demoed lots of different communication systems and they all seem pretty good -- they all just differ in small ways so it just depends on your specific needs. OperaDDS fit our needs the best and gave us all of the functionality that we needed from Lighthouse, and then some. One of OperaDDS's unique selling points is their intra-office communication capabilities. Was this something that drew you to their system as well? Actually, it wasn't -- we primarily wanted OperaDDS for its patient communication capabilities, including two-way texting. Especially since we're a new practice, we didn't think we would have a need for their intra-office communication capabilities. We don't have a huge office space, so it was pretty easy for someone to come grab me if they needed me. But as we've grown, it has become a great tool and is something that we use frequently. In fact, it has become one of my staff’s favorite features of OperaDDS. How have the intra-office communication capabilities impacted your practice? It makes our practice far more efficient while giving off a more professional vibe, which is important for our patients' experience. There’s no calling out for anyone down the hall or assistants having to leave the room a bunch of times, it’s nice to have the assistants be able to stay chairside and for either me or the hygienist to come in when ready. I think it also helps us become more connected with our patients. It's a great experience for new patients when the dental assistant is talking with them and types in a few facts about the patient, such as where they went on vacation, or any specific concerns that they may have, or notes about their family. Then when I walk in, I already know some of what was discussed, so we're all on the same page and know exactly what topics we should address first. I especially like OperaDDS's Apple Watch app, which lets staff buzz me when a patient arrives -- I can be treating a patient, and receive a buzz on my watch without my patient even knowing. Again, it’s a professional experience for the patient since it avoids staff members popping their heads into the operatory while I’m with someone else to let me know when someone else is here or if they need to tell me something. Do you have any advice for new practices who are looking for software to help run their practice? Although many large companies that have “been there, done that” have tried-and-true tested services, I would say: don't be afraid to try the “smaller” or “newer” companies. When I first started, I wanted to make sure everything I acquired or service I asked for was well-known because I thought it would be a smoother ride. But as I’m finding out, as long as you do your research and the companies have a good reputation and are capable, they may offer you something that is just a better fit for your needs while providing excellent customer service. You don’t always have to use what the dentist down the street is using or whatever your dental friends are promoting. Services provided by Open Dental and OperaDDS fit my bill and have saved me in costs as well as provided me with excellent support whenever I hit a bump in the road. Also, don’t be afraid of change. I was constantly demoing different systems and programs because I wanted to stay current and see what else is out there. Ultimately you have to try different things and see what fits your specific needs the best, simply because your practice philosophy, patient demographics, and dental services you provide will all have varying needs. OperaDDS is tailored to dental practices that need a comprehensive, HIPAA-compliant system that facilitates communication with patients, among staff members within the same practice, and with external partners (e.g. labs and referrals). Whereas most dental communication software systems typically focus on patient communications, OperaDDS also includes its HIPAA-compliant intra-office communication capabilities within the same system. To learn more about OperaDDS, you can read our in-depth review here. You can also visit OperaDDS's site here.